As paintball develops into a mainstream sport in Australia, it is essential that paintball safety standards also develop with the sport to ensure the safety of all players. Technological advancements are apart of today’s sporting world whether we like it or not. In some sports these advancements have helped where as others it has hindered. The AUPBA always has welcomed the idea of new developments in the sport just as long as safety is kept as the number one priority. Although those who have never played or who know little about paintball sometimes deem the activity to be somewhat dangerous, it is in fact safer and incurs fewer injuries than many mainstream contact sports like rugby, soccer and basketball. As with most sports, safe participation results from adherence to the appropriate safety guidelines. As long as these guidelines are followed, paintball is an exceptionally safe game. 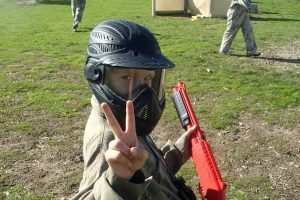 In recent times there have been a few paintball centres in Australia that implemented various policies and procedures to ensure the safety of all players on site. They have invested heavily into the safest equipment in the industry and have carefully planned their centres to ensure the safety of everyone in the ‘safe zones’. 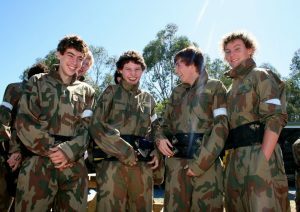 These centres have received a 5-star rating from the AUPBA for being the leaders in the Australian paintball industry. These are the Delta Force centres, which are located in Sydney, Melbourne and Perth. Whenever you visit a Delta Force paintball centre you can be sure of a few things. One is that you will have the ultimate paintball experience and the other is that you’ll receive state-of-the-art paintball equipment, ensuring your day is both comfortable and enjoyable. These advanced pieces of equipment all add up to a safe and enjoyable paintball adventure. Remember that when you attend any paintball centre, listen carefully to the safety briefing and the instructions from the staff, as they are essential for the safety of all players in your group.